A British parliamentary committee concluded its 18-month investigation into social media practices and issued its report on Monday. 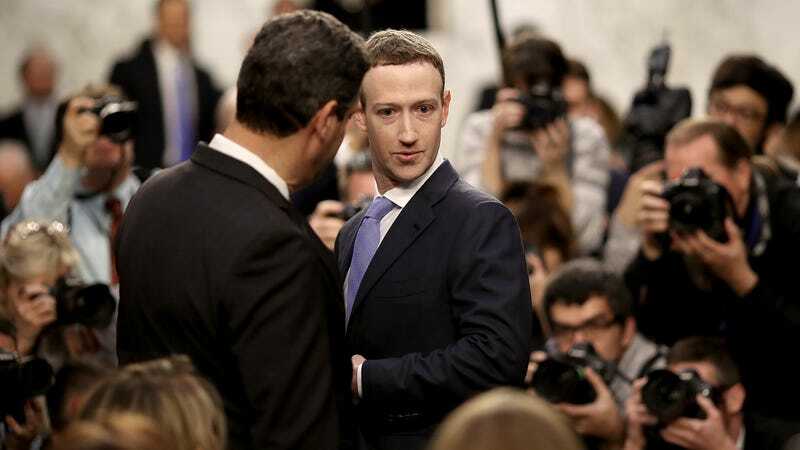 Facebook received particular focus in the report with lawmakers accusing the company of intentionally breaking the law and claiming that CEO Mark Zuckerberg has failed in his leadership of the social network. The UK Parliament’s Digital, Culture, Media and Sport Committee was spurred to launch an investigation of social media in 2017 following revelations regarding Russian election-meddling and later, the Cambridge Analytica scandal. The resulting 108-page report takes Facebook to task on numerous issues including violating its own privacy agreement with users and participating in anti-competitive practices. “Companies like Facebook should not be allowed to behave like ‘digital gangsters’ in the online world, considering themselves to be ahead of and beyond the law,” the committee wrote. Facebook has denied that characterization. It claimed that it ended a program that allowed users to share their friends’ data with developers in 2015 and only extended the functionality for certain developers on a short-term basis in order to avoid breaking the user experience. But for UK lawmakers, any sort of misunderstanding of Facebook’s business practices could be chalked up to its executives’ resistance to cooperate in the investigation. Damian Collins, Chair of the DCMS Committee, wrote that Facebook “often deliberately sought to frustrate our work, by giving incomplete, disingenuous and at times misleading answers to our questions.” Collins also singled out Mark Zuckerberg’s repeated refusal to testify in person before the committee. “Even if Mark Zuckerberg doesn’t believe he is accountable to the UK Parliament, he is to the billions of Facebook users across the world,” Collins wrote. One of the report’s more interesting details is that it claims the Information Commissioner’s Office (ICO) shared the names of three “senior managers” at Facebook with the committee who allegedly were aware of the Cambridge Analytica data breach prior to the 2015 date that Facebook has claimed it first learned about the incident. The managers’ names were not revealed in the report but the committee found it unconscionable that the issue wasn’t brought to Zuckerberg’s attention until 2018. “The incident displays the fundamental weakness of Facebook in managing its responsibilities to the people whose data is used for its own commercial interests,” the committee wrote. Compulsory Code of Ethics for tech companies overseen by an independent regulator. Regulator given powers to launch legal action against companies breaching code. Government to reform current electoral communications laws and rules on overseas involvement in UK elections. Social media companies obliged to take down known sources of harmful content, including proven sources of disinformation. German regulators have cracked down hard on Facebook’s data-collection practices and the U.S. government is reportedly weighing a multi-billion dollar fine for the social network violating its 2011 consent agreement with the FTC. That’s in addition to the numerous state Attorneys General who are conducting their own investigations into the company data practices. But none of that seems to be having much of an impact on Facebook’s earnings, it reported record profits last quarter. Lawmakers can issue strongly-worded reports all they want but until shareholders start complaining, we can expect Facebook to continue paying lip-service to its core problems.